Hello? Um…hi. I wasn’t expecting to see you all gather here. I’m sitting in my pajamas, drinking my tea, eating my Irish Soda Bread (by the way, it is super good) and you are here. Well I guess if I was to be honest I’ve been waiting for this day for a very, very long time. I have news, but I’m sure you know it now. GingerScraps is growing by leaps and bounds (thanks to all of you, our designers, and our teams) that we have added another designer. This designer is fitting right in with our girls that I just know you will all welcome her with open arms. I asked JoyLynn to tell me a little bit about herself but then I thought my version of her may be more fun. In my mind she works for the CIA. 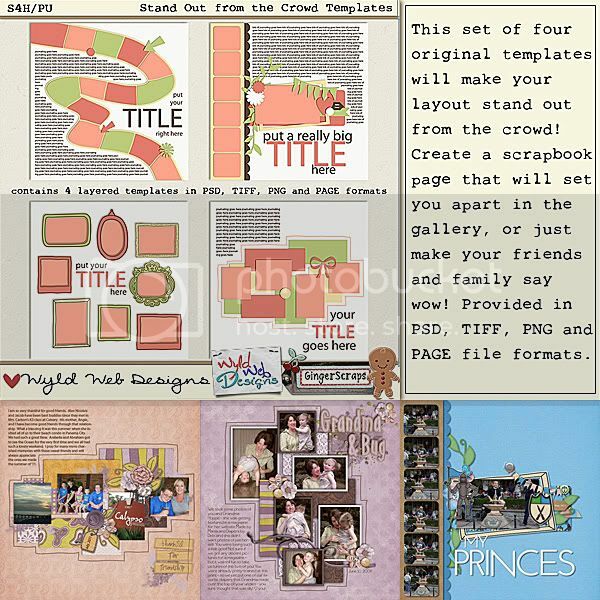 She is undercover, trying is disguised as a digital scrapbooking designer. She will live in West Virginia. I’m not sure why, but I think that sounds a fun place to be from. She has 15 children and is striving to be the next Duggar family (who I heard is having their 20th baby). Let’s see what else can I make up. She lives with her entire family on a farm, e – i – e – i – o, which makes her job for the CIA even more believable. I‘m a *gulp* 32 year old mother of 2 adorable little boys (Tyler is 5, Hayden is 3). I’m married to a pretty gosh-darn nifty fella (well, most of the time) and we live in Huntsville, Alabama where I’m attending the University of Alabama in Huntsville working on a degree in Business. I love reading, movies, video games and parentheses (and promise to use them as often as possible, lol). I’ve been designing for just about a year now, but loving every minute. I’m slowly but surely getting to know PS, Illustrator, and my Bamboo tablet better (but know I have so much more to learn). I’ve already met some incredibly glorious people here at GingerScraps and I’m both honored and humbled by the opportunity to be a part of this magnificent group! The talent here – both designers and scrappers – is A-MAZ-ING! You can choose which “story” you believe..hehe. Would you like to see her fantastic designs? Let’s see what a secret agent can do! Isn’t she awesome! I hope you stop by the forum and get to know her. She really is such a fun person. She is funny, smart, and just a great person. I can’t wait for you to get to know her!! Click image for last piece! Are you all shopped out after this weekend? I know I am! I can’t believe we are almost at the end of this month already! I hope you all have enjoyed this wonderful gift from Colie’s Corner. Have you made a layout with the kit yet? Share the link with me in the comments today so I can show them off tomorrow! 🙂 Thanks!!!! 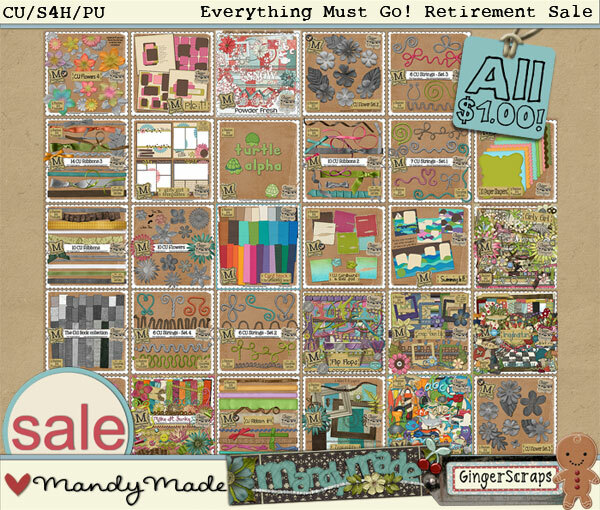 Don’t forget to take advantage of all the huge sales in the shop this weekend! 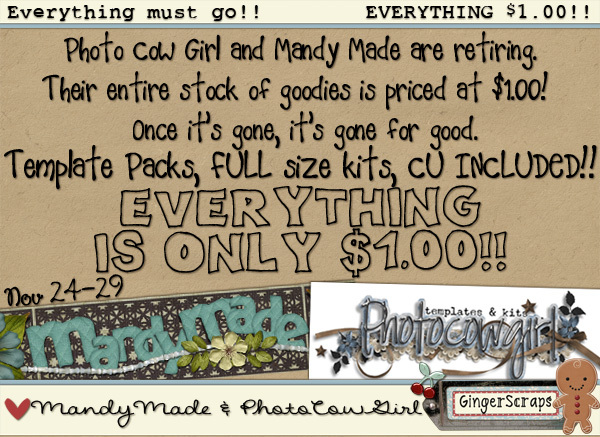 And grab these goodies before they are gone!!!! Don’t forget about the AMAZING Black Friday DEALS we have going on at the shop this weekend! Happy Black Friday!! I hope you had a great time with friends and family. I hope you are all full from that big feast. If you don’t live in the US, I hope you’ve had a great week and you have a relaxing weekend. Here at GingerScraps we have a lot to share with you, so let’s get right down to it. Before we get started I just have to give you a recommendation. Make sure you read the entire newsletter to find some amazing deals. Now, when you read amazing, I want you to think of money saving deals…..oh…um…did I just give it away? Ok, pretend I didn’t say anything…yeah, let’s go with that. Just make sure you read all the way down…yeah…ok, let’s um..change the subject. With the holidays right around the corner, I know a lot of you will be sending out holiday cards. 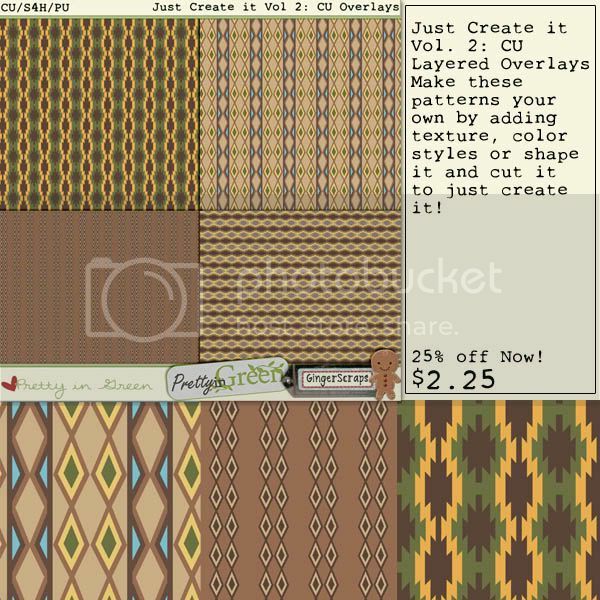 Let me just remind you of our exclusive deal with Persnickety Prints. All you have to do is enter the special coupon code (you can find it all right here) in the coupon field and you can save 10%!! No catch, nothing to lose….only money to save! 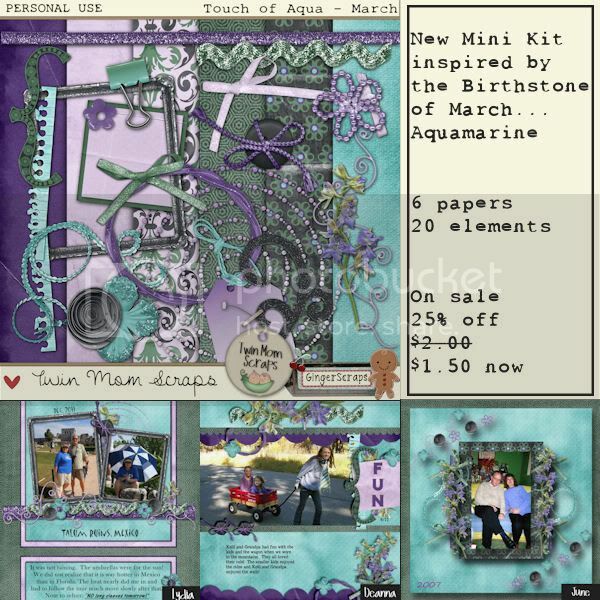 Let me show you the brand new releases we have for today but remember that when you spend $10 you get a free grab bag by Statements by Jodi! Here are our new releases! Well let me rephrase that…here are just some of our new releases. Our store is packed full of over 60 new products just for you!